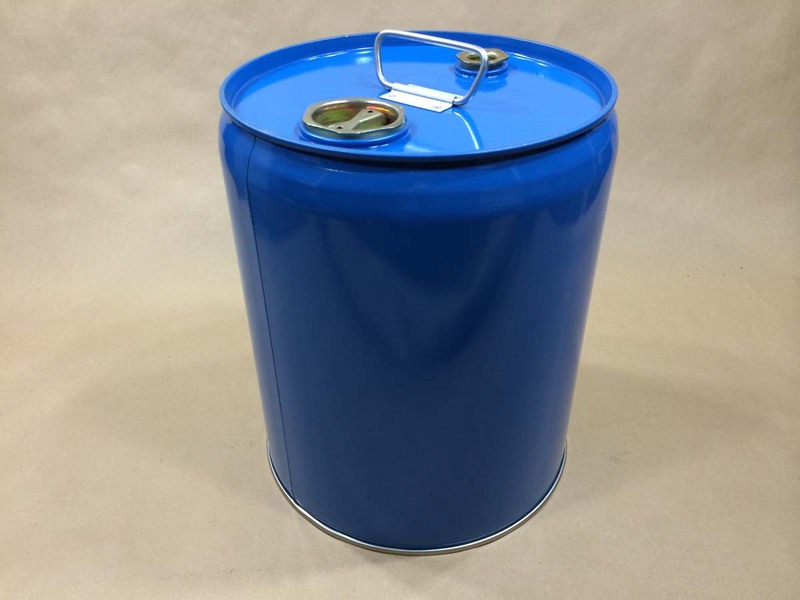 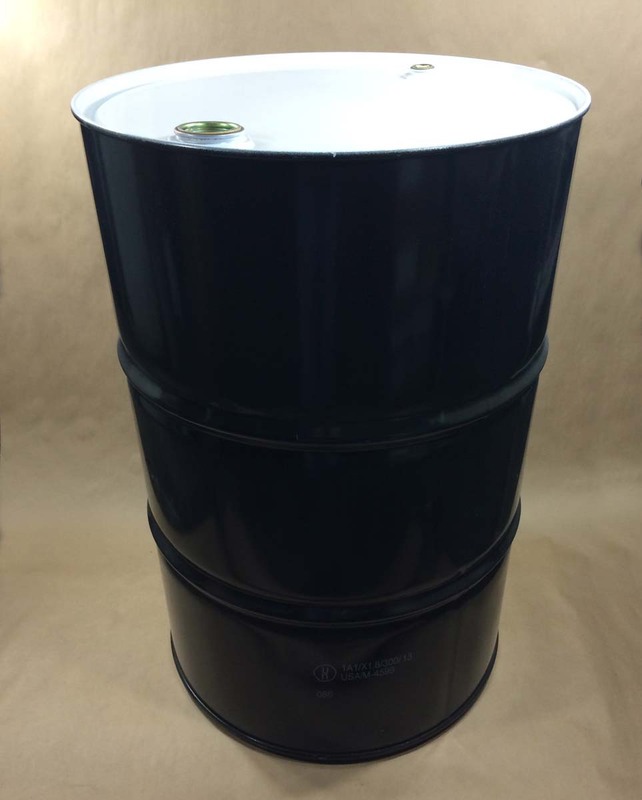 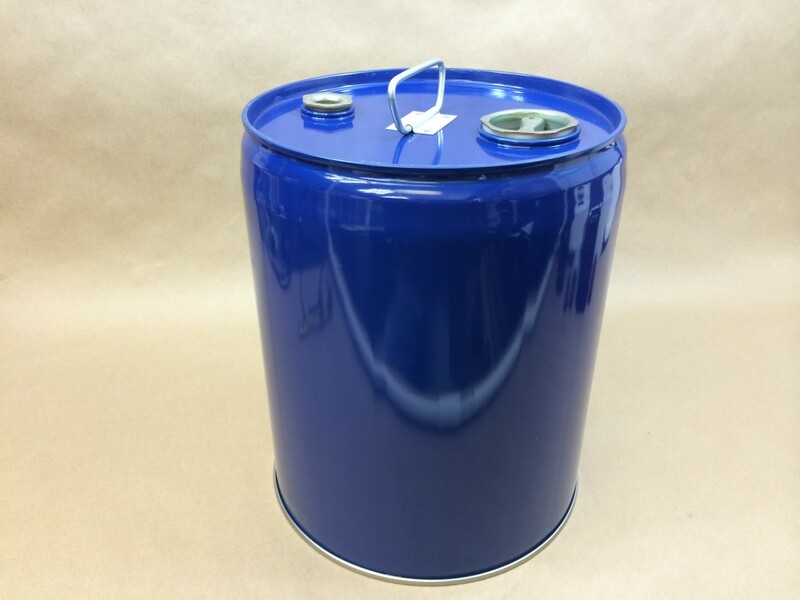 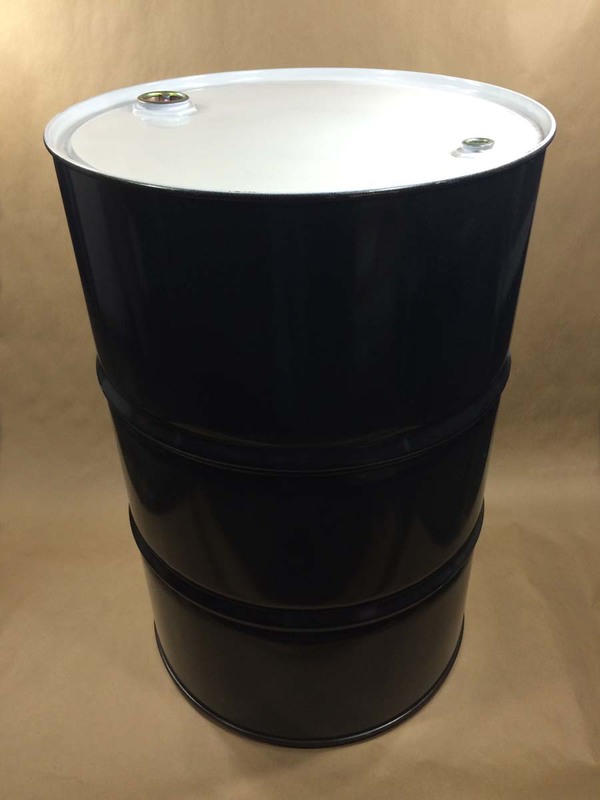 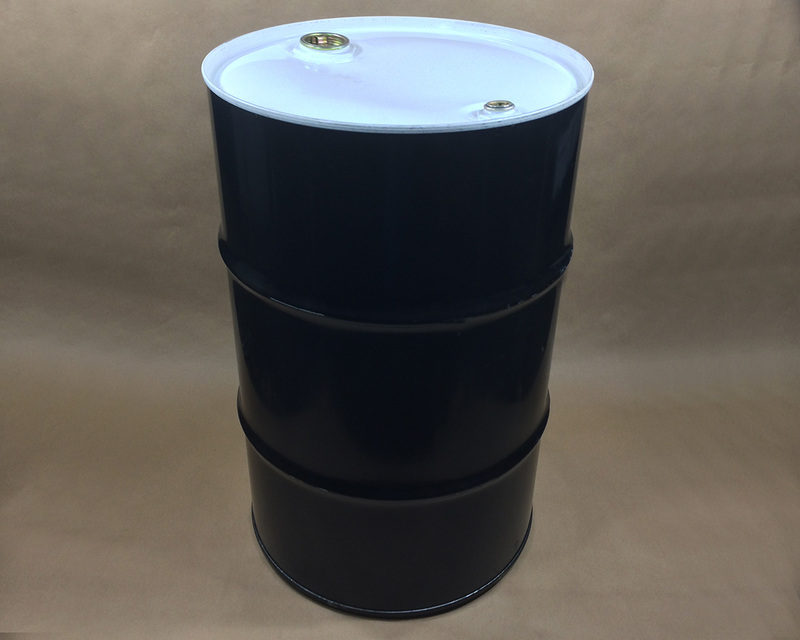 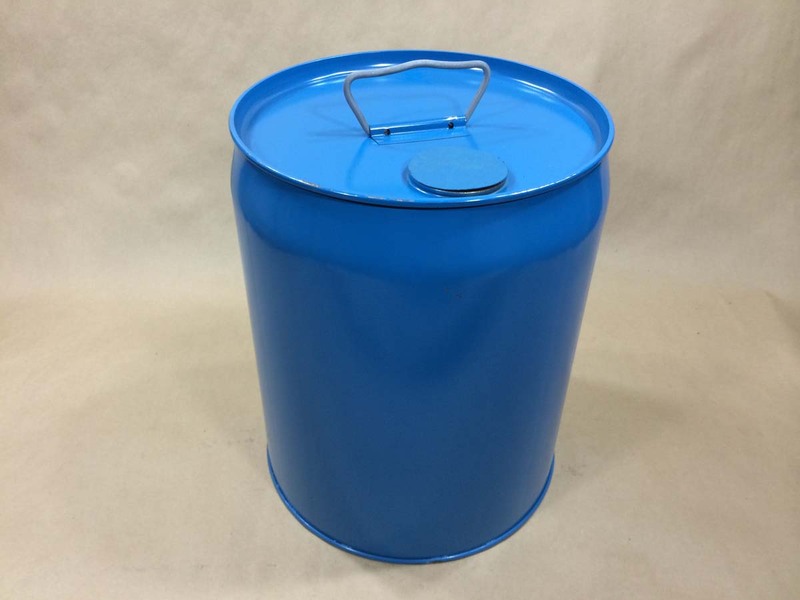 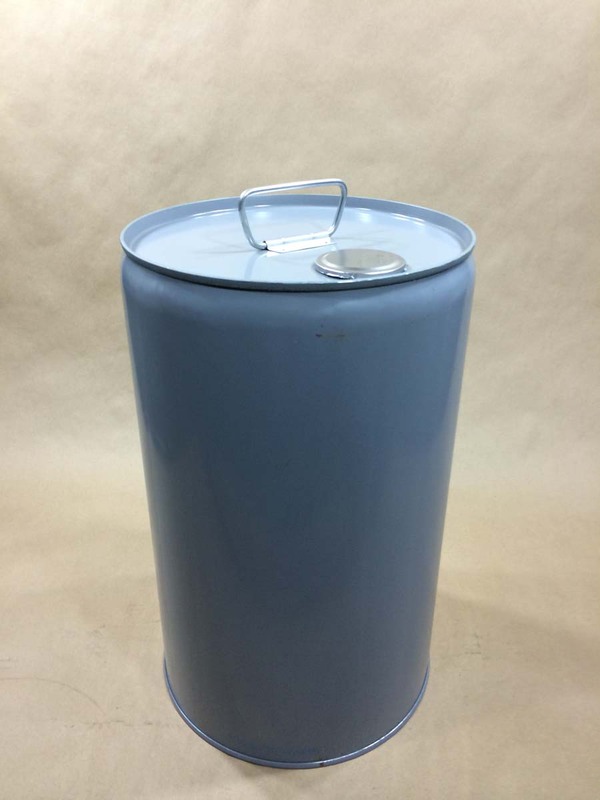 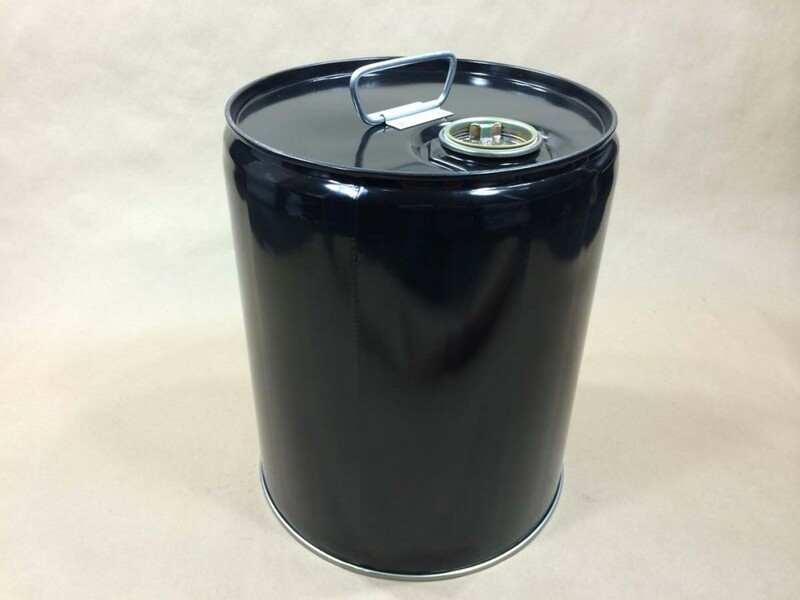 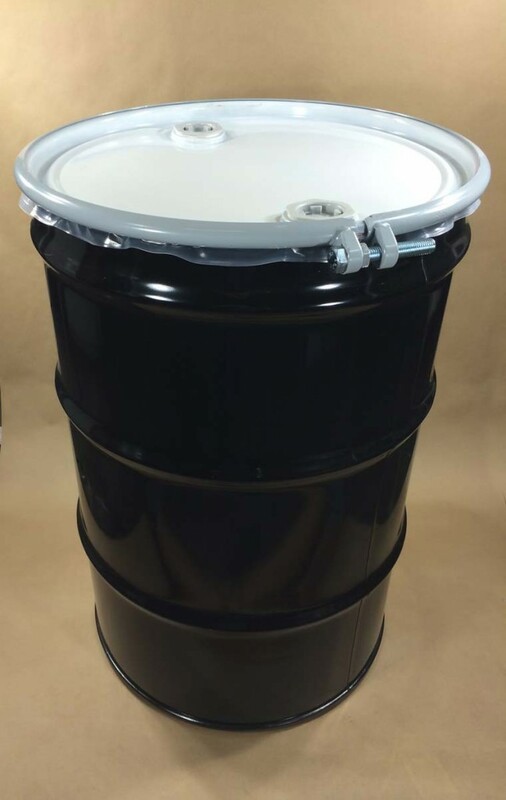 We stock a large and varied assortment of steel containers, both drums and pails or buckets. 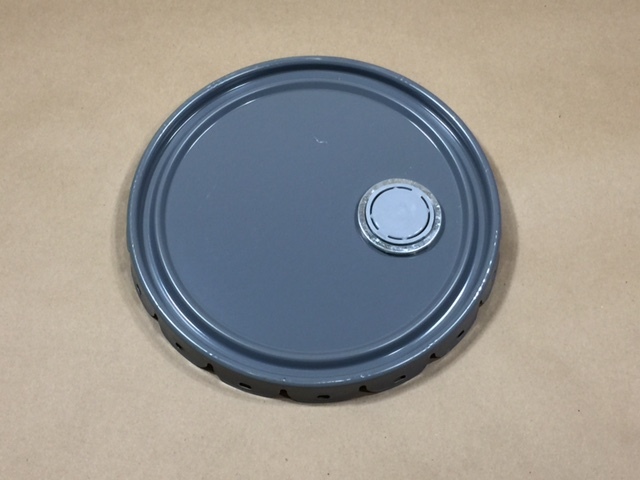 These drums are available in tight head and open head styles. 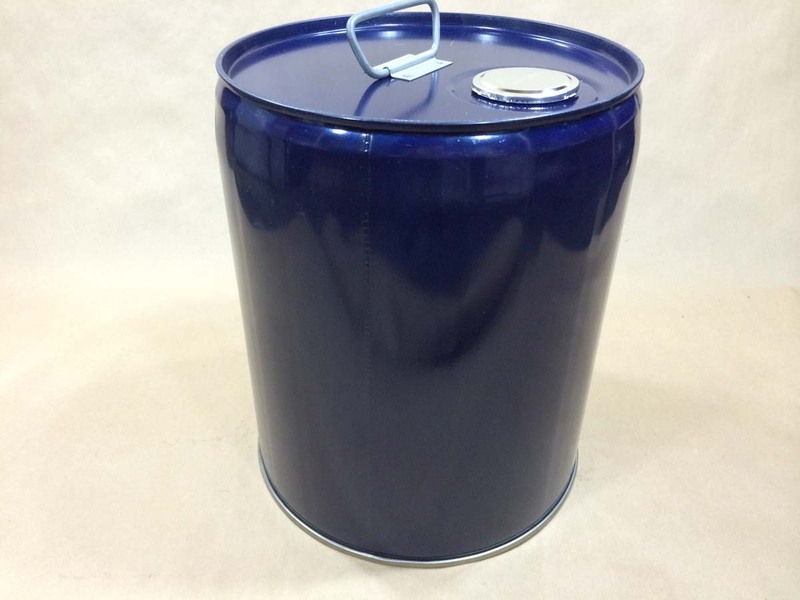 Some drums are lined and others are unlined. 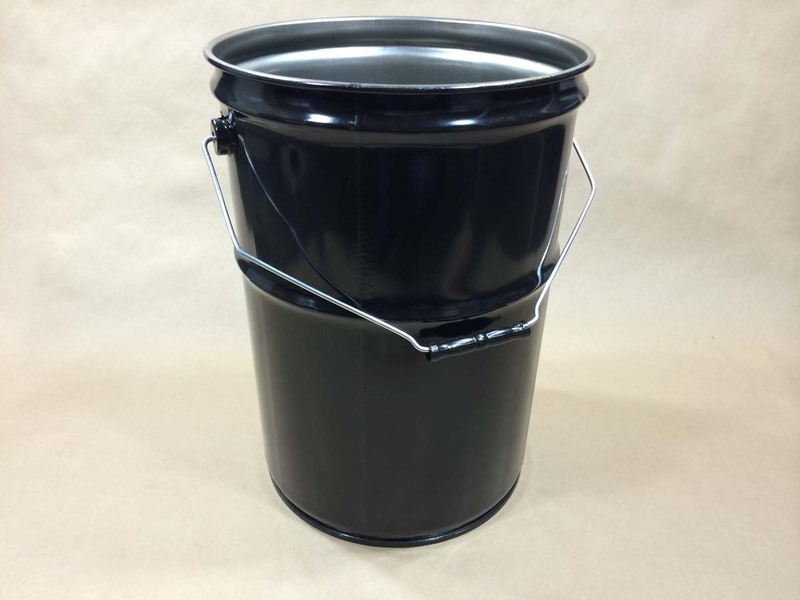 Our metal pails are also available in several styles. 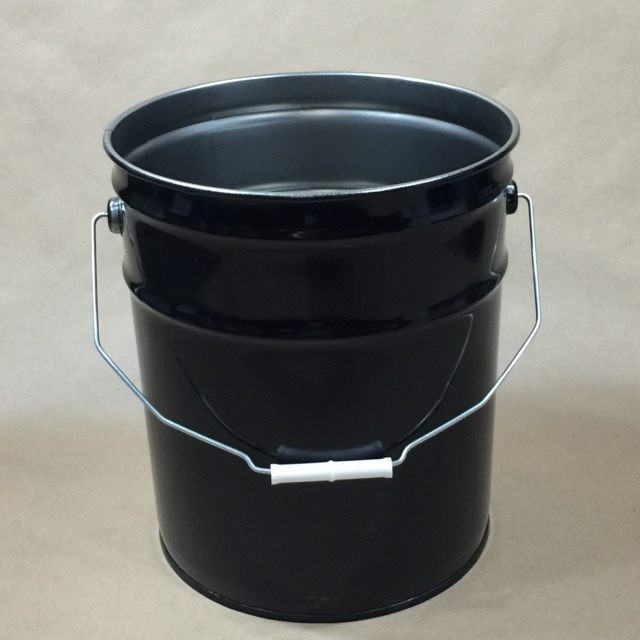 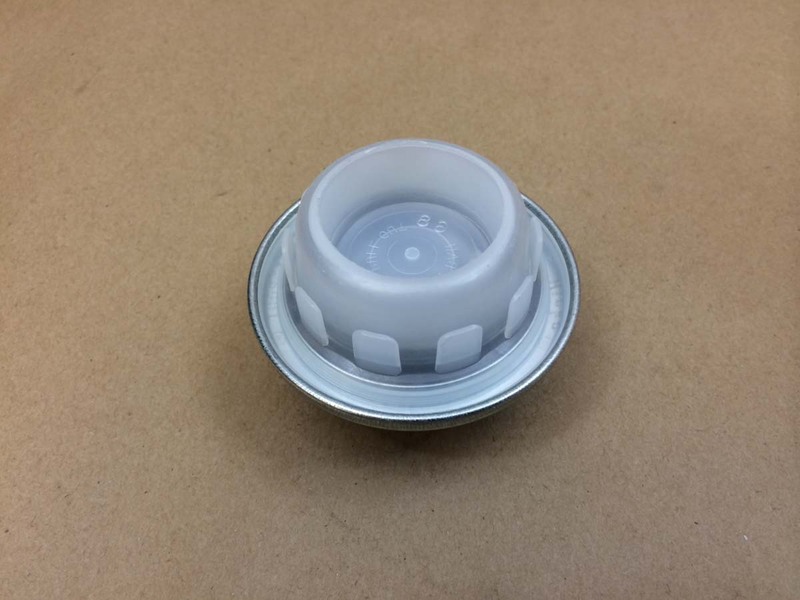 There are tight head pails with Rieke openings that require a Rieke spout. 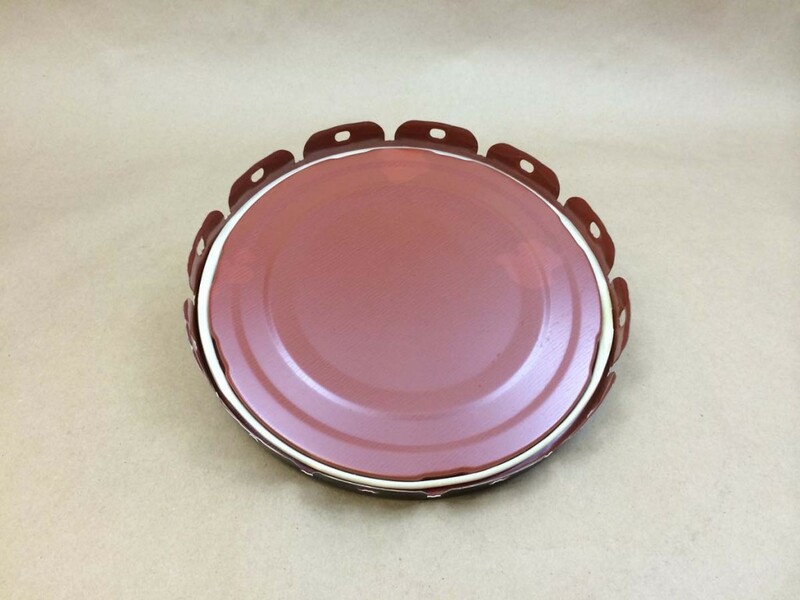 More information on Rieke spouts can be found below. 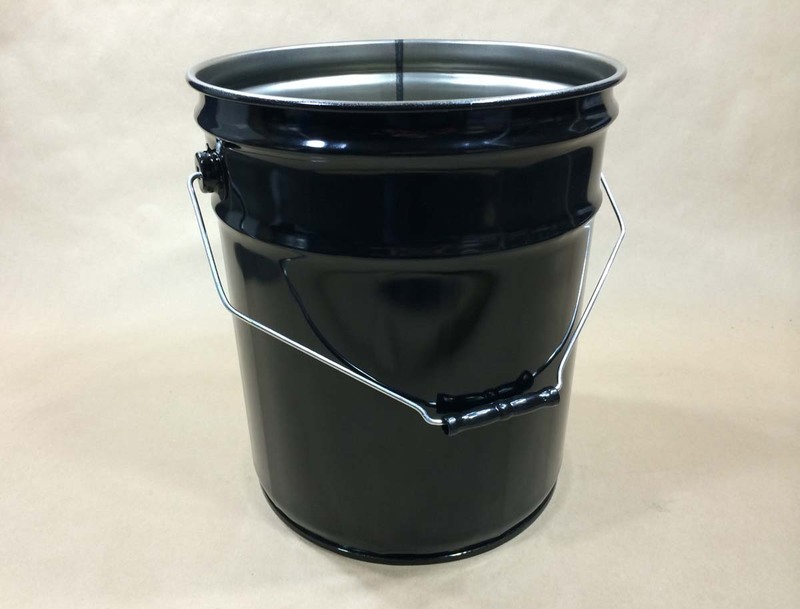 There are tight head pails with bungs or plugs. 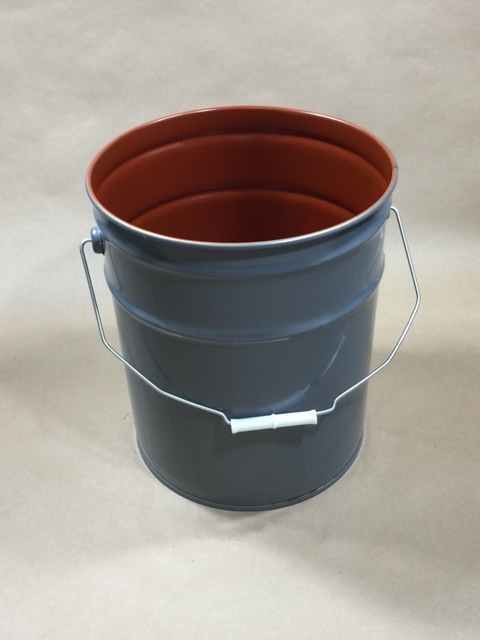 There are both lined and unlined pails. 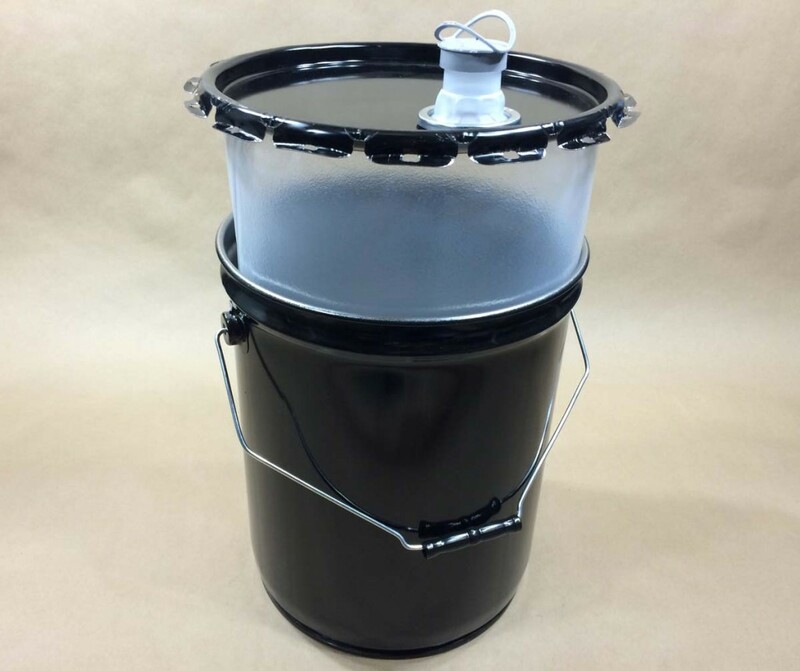 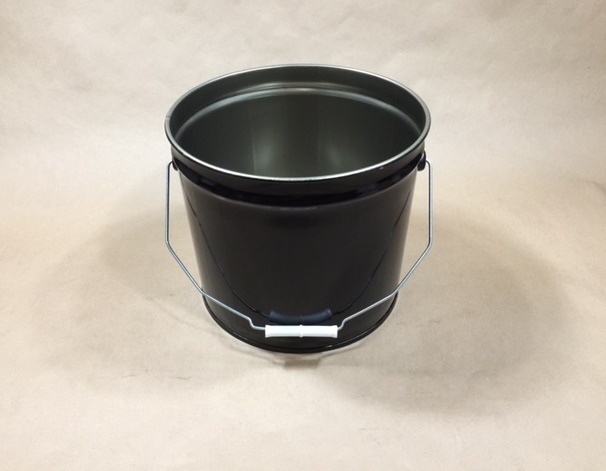 Our open head metal buckets are sold without the lids. 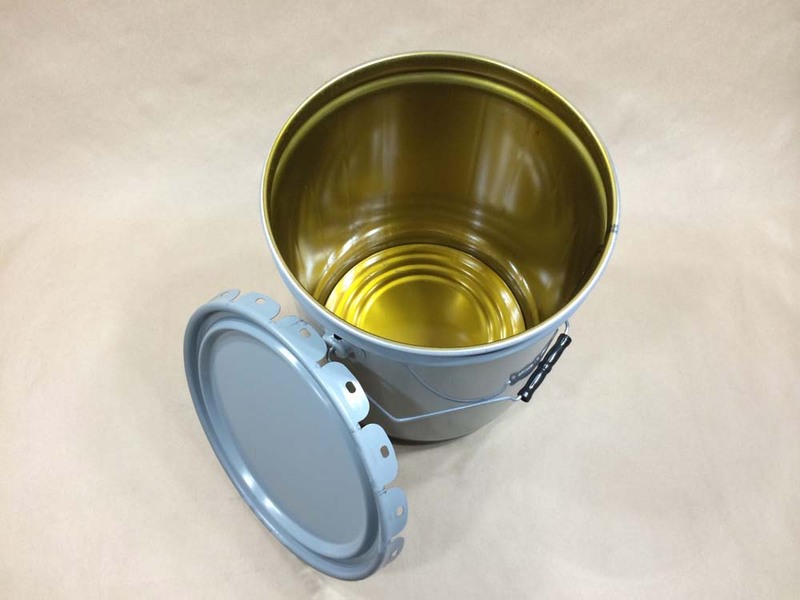 Some pails are UN rated and some are not. 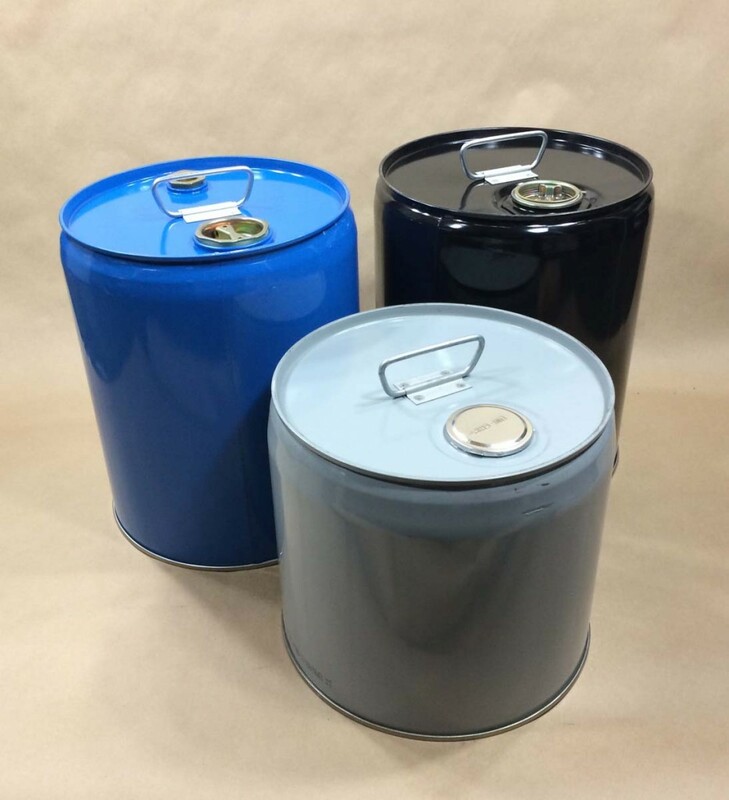 In the description of each pail you will find information about the correct lid you would need to use in order to keep the UN rating valid. 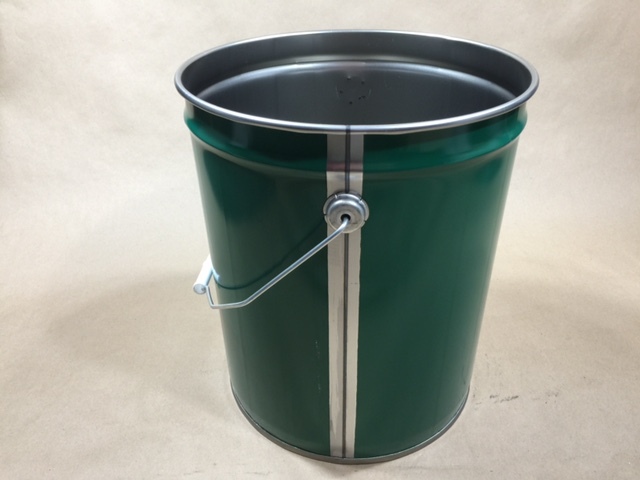 There are many items on this page so please use the quick links on the right to help you go directly to the pail or drum you require. 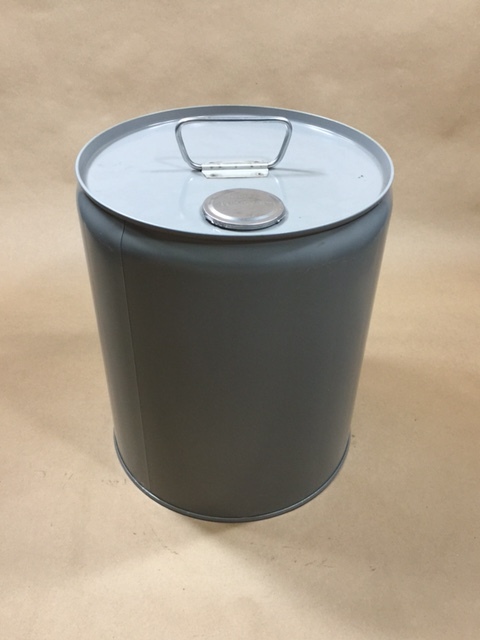 A word on baked on steel pail linings can be found here. 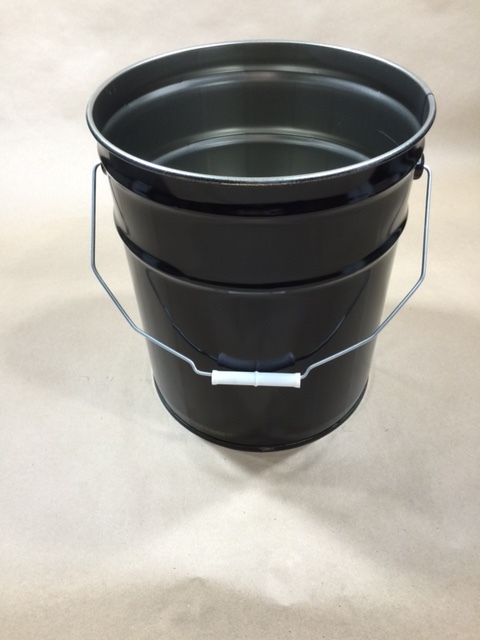 An article on steel pails with bungs can be found on this page. 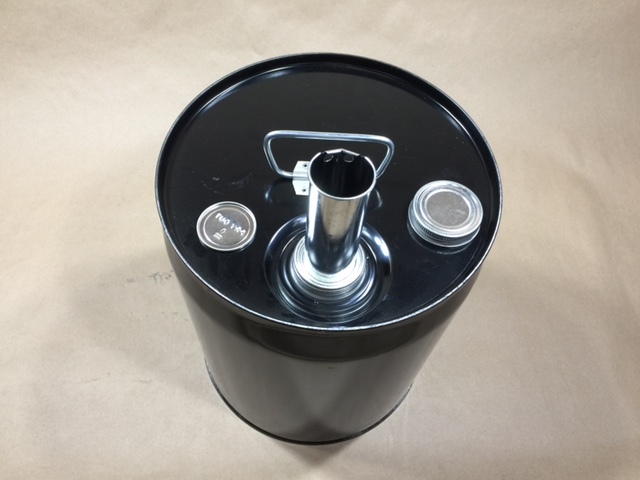 More detailed information on Rieke spouts and pails with Rieke openings can be found on this page. 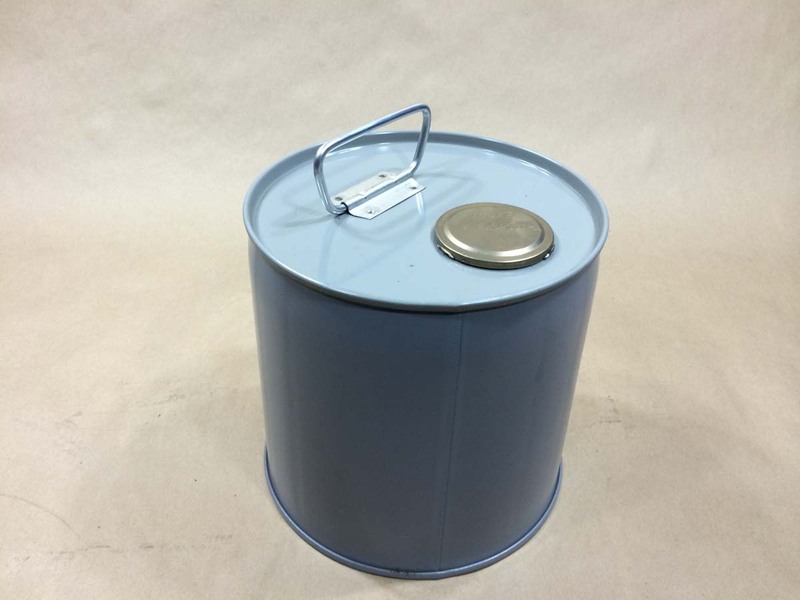 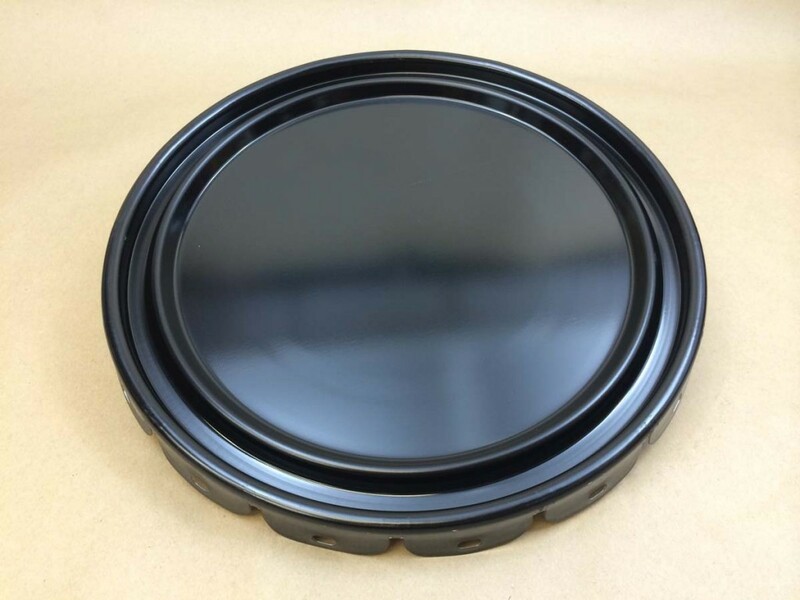 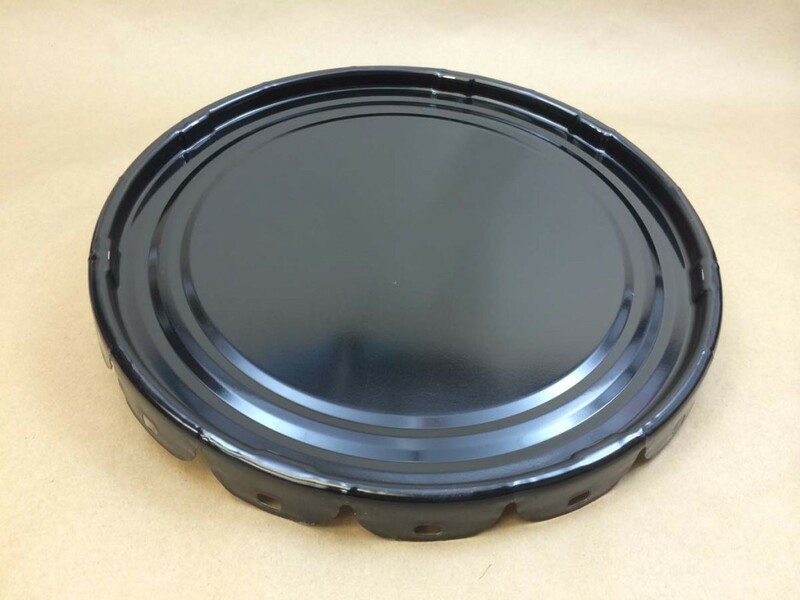 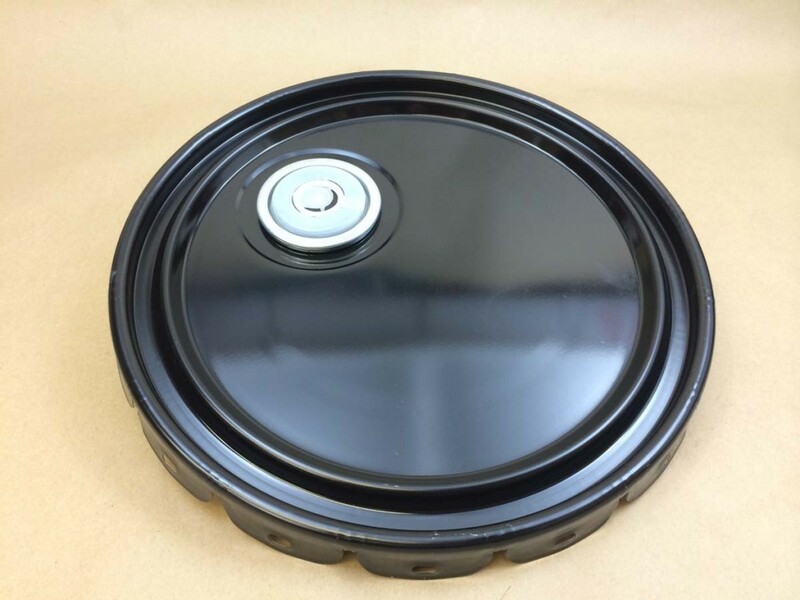 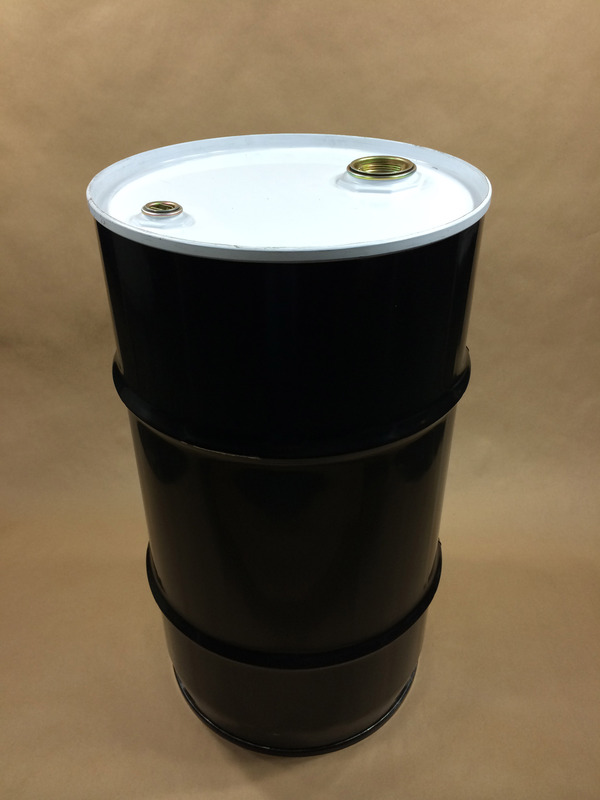 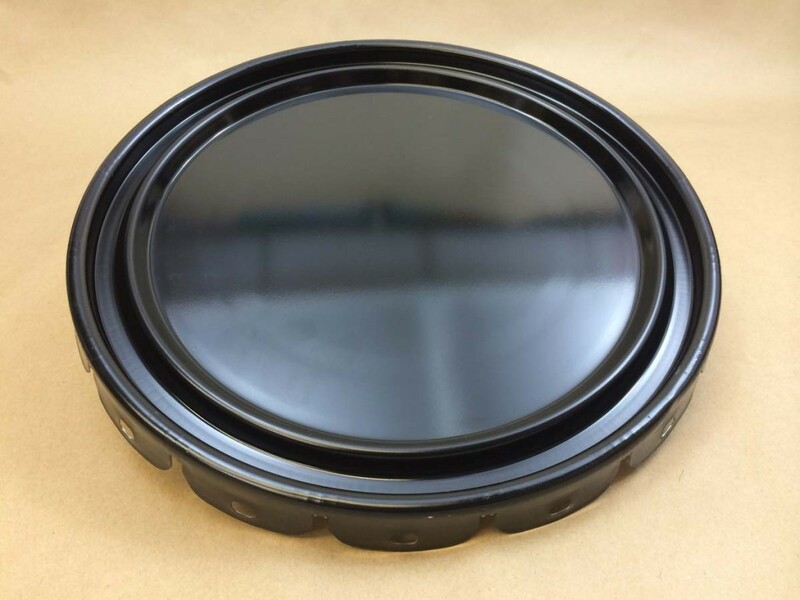 Additional information on our composite steel pail and our composite steel drum. 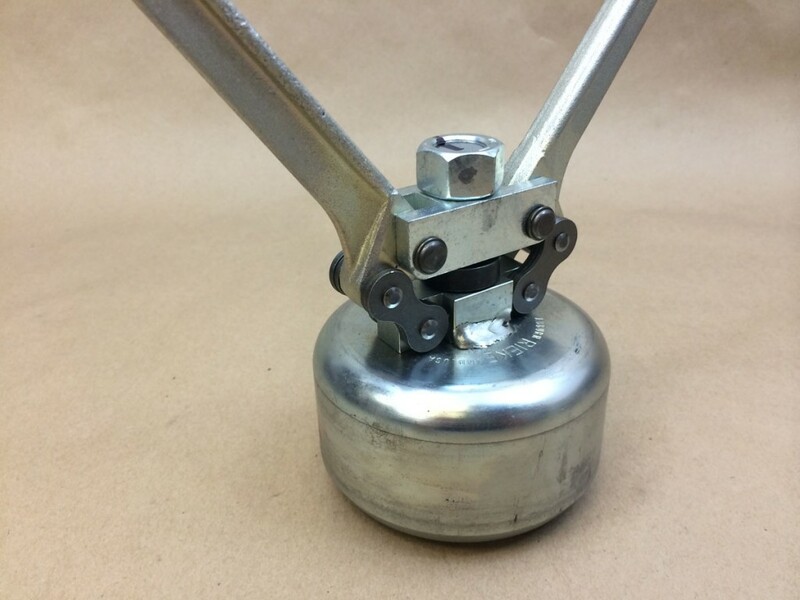 You can find more detailed information on our Flexspout crimping tool in this article. 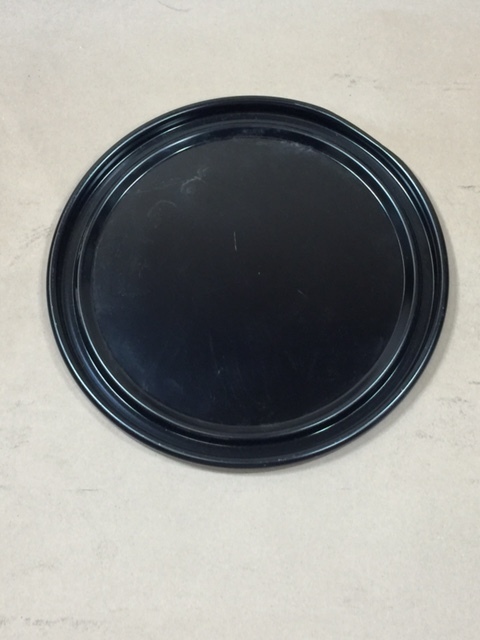 A word on covers can be found on this page. 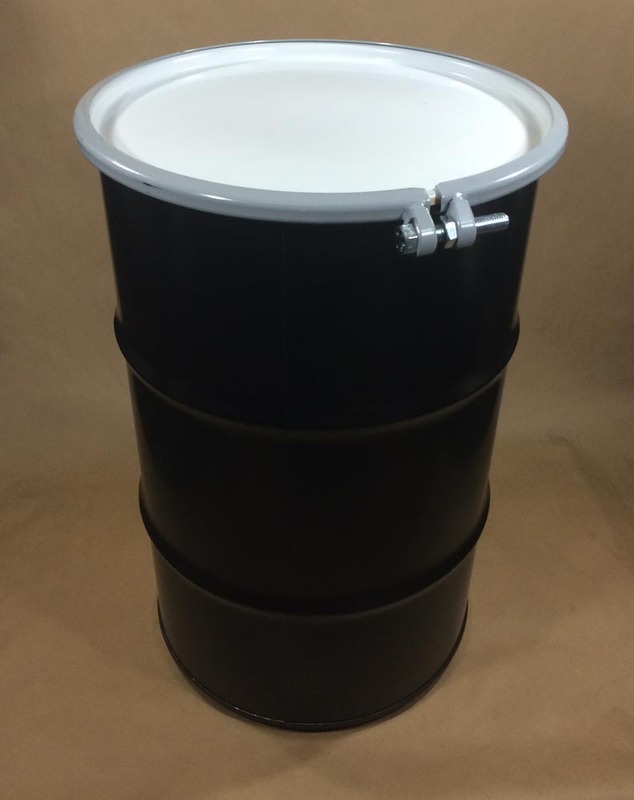 Please see this article for additional information on unlined drums.